Following the 20th anniversary of The Sopranos premiere in January, fans who missed the legendary series were ecstatic to hear about developments in The Many Saints of Newark, a Sopranos prequel feature film. Fans were especially elated by the casting news of Michael Gandolfini, James Gandolfini's 19-year-old son, as a young Tony Soprano. Since then, more exciting cast members have signed on and many more details, such as the movie's synopsis and release date, have been released as well. Continue on to learn everything we know about The Many Saints of Newark, the Sopranos prequel movie. Slide 1 of 7What is 'The Sopranos' prequel movie called? Initially, the film's title was reported as The Many Saints of Newark, which references the New Jersey area where much of the Italian American mafia originated. A few months later, Deadline reported in March that the film's title would be shortened to simply Newark — however, the publication soon updated its article with the official title of the film, which is what was reported originally: The Many Saints of Newark. Slide 2 of 7Who is on board? 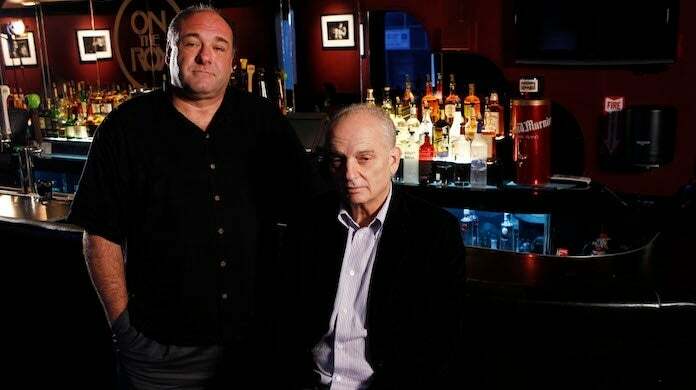 Sopranos fans will be relieved to hear that several of the key alumni from the series, like creator David Chase, are involved in the feature film. Chase, who was the show's creator, showrunner, head writer and producer (as well as the voice of God in one episode) is spearheading the general effort and co-wrote the script with Lawrence Konner, a Sopranos staff writer who got sole episode credits on three episodes. Alan Taylor, who served as director on nine episodes of The Sopranos (as well as the Mad Men pilot and Game of Thrones' thrilling "Beyond the Wall" season 7 episode), will direct the movie. The executive vice president of Chase's company Chase Films is serving as executive producer on the movie, with casting headed by Douglas Aibel, who worked on The Grand Budapest Hotel, Manchester by the Sea and HBO's Succession. Slide 3 of 7Who will star? 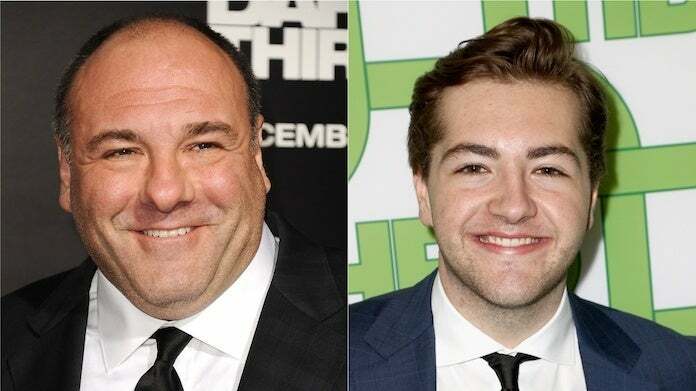 Michael Gandolfini, 19, is likely the most anticipated star of the film, thanks to how well the young Gandolfini is reportedly able to mimic his father's character's personality traits. Insiders told Deadline in January that Gandolfini, who snagged the role after an extensive audition process, shared an uncanny resemblance to his father, as well as a gravitating screen presence and mastery of Tony Soprano's mannerisms, which helped make him the standout choice for filmmakers. Alessandro Nivola will play Dickie Moltisanti, Christopher's late father and Carmella's cousin in the original series. Although Dickie was long gone by the time The Sopranos started, his legend hangs large as a pivotal member of the Soprano family. Nivola previously portrayed a domineering FBI boss in American Hustle and appeared as a callous model scout in The Neon Demon. Other confirmed cast members involved include Vera Farmiga, Ray Liotta, Jon Bernthal, Corey Stoll, Billy Magnussen, John Magaro and Italian actress Michela De Rossi. Although filmmakers are keeping quiet as far as official roles are concerned, it is known that some of the characters from The Sopranos will appear as younger versions of themselves in the film. Many fans are theorizing that Farmiga could portray Livia Soprano, Tony's mother, as she was fleshed out throughout the series and even in several flashbacks. Liotta, who famously starred in Goodfellas and was Chase's preferred choice to play Tony Soprano in the HBO series, is also keeping quiet as far as his role is concerned. Slide 5 of 7Which 'Sopranos' characters will return? Based on the movie's time period and what characters we definitely know are returning, i.e., young Tony and Richard "Dickie" Moltisanti, it's quite possible fans will see Tony's father, who was also dead before the start of the series, as well as Tony's mother, Livia. Junior Soprano (aka Uncle Junior), Jackie Aprile Sr., Carmine Lupertazzi Sr., Paulie "Walnuts" Gualtieri, Johnny Sack and Tony Blundetto could also be good guesses. Slide 6 of 7What is the premise? The Many Saints of Newark will be set amid the 1967 Newark riots, which Livia was actually seen watching live on TV during a flashback episode called "Down Neck." Historically, the 159 race riots across the country were dubbed "The Long Hot Summer of 1967." Tensions boiled over as African-Americans continued to face discrimination in jobs and in housing. In Newark specifically, relationships between Italian-Americans and African-Americans were especially shaky. "That was a time when the African-Americans and the Italians of Newark were at each other's throats," Deadline notes, "and among the gangsters of each group, those conflicts became especially lethal." Slide 7 of 7When will it be released? The Many Saints of Newark will hit theaters on September 25, 2020. The Sopranos ran for six seasons and won 21 Primetime Emmys, five Golden Globes and a Peabody Award.